In true Four Seasons style, the Spa Spies received a very warm welcome and were soon whisked off for a healthy and delicious lunch with the Four Seasons spa team, and special guest, Sodashi founder Megan Larsen. 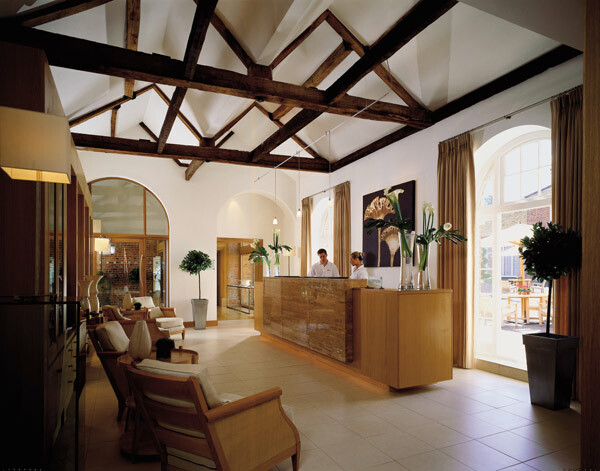 We chatted about the exciting new treatments and the decision for this top UK spa to go for an all-natural range of therapies (ESPA being the only other brand on the menu). We managed to steal ten minutes with Megan Larsen to ask her more about her successful spa brand. Megan told us about how the all-natural products are developed using carefully sourced suppliers around the globe to produce the unadulterated ingredients that are essential to "the purest skin care range in the world." Products are even packaged in Miron glass, a violet-black glass that filters light to prevent the sensitive ingredients from degrading. Sodashi products contain a selection of plant essences, oils and extracts known not just for their purity, but also for their potency and their therapeutic qualities. The brand's treatments aren't just a pleasant way to relax for a couple of hours, they offer real results, too. We asked Megan and Spa Director Maria Herrera about how treatments are developed and chosen for a specific spa. Maria and Megan explained that Four Seasons and Sodashi worked closely to create therapies that suit the spa's clientele and location. The hotel's grounds are abundant with lavender, an ingredient used throughout the Sodashi range. This therapeutic herb, used for traditional remedies, is used in treatments for its healing and soothing qualities (and it even featured on our lunch menu in the form of napkin decorations and a superb panna cotta). 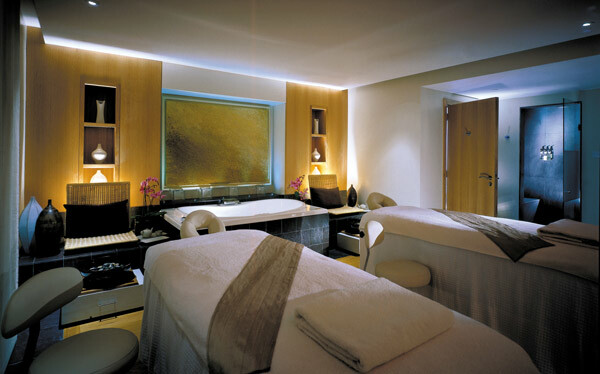 The treatment menu also offers a good mix of the results-driven and the holistic, with an emphasis on comfort that maintains the Four Seasons ethos. Before we finished, we couldn't resist asking Megan to choose her desert island product. 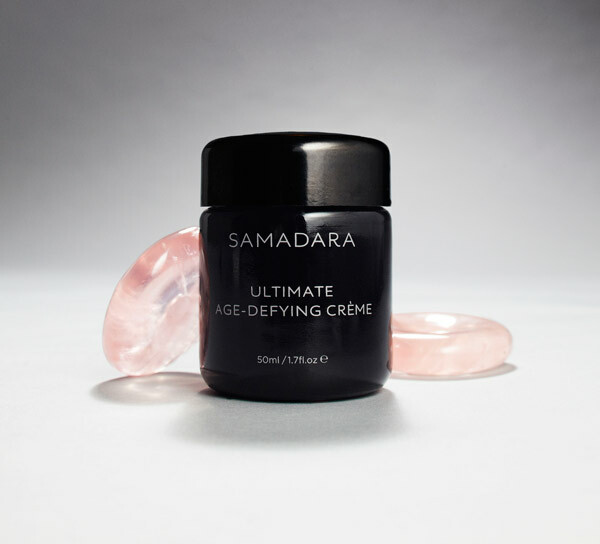 She told us that the one product she couldn't live without is the Samadara Ultimate Age-Defying Crème, the brand's "most powerful anti-ageing treatment" and the jewel in Sodashi's crown. After hearing about the exclusive products and intriguing treatments, we couldn't wait to get to the spa to try them for ourselves, so we headed to spa reception, where our treatment journey began. Sassy Spy was booked in for Chakra Balancing (90 minutes, £190), a body treatment, while I was booked in for the Samadara facial (105 minutes, £200), using Megan's favourite product, which was all rather exciting! While we were filling in our consultation forms, our therapists brought us a cup of tea to complement our treatment. Sassy Spy had green tea, whilst I was handed a fragrant cup of rose tea. The Samadara facial was certainly an interesting treatment. I'm not a fan of a facial that does no more than my usual at-home routine (you might be surprised at how many spa facials are literally just a cleanse/tone/exfoliate/moisturise routine) but this was far more advanced than anything I could try myself! After gently cleansing and preparing my skin with lavender-scented loveliness, my therapist moved on to the facial's unique elements - a self-heating mask and a rose quartz massage. The mask slowly solidifies and warms itself, sealing in active ingredients and opening pores to absorb them. The smooth rose quartz crystals are used to help massage the products into the skin. 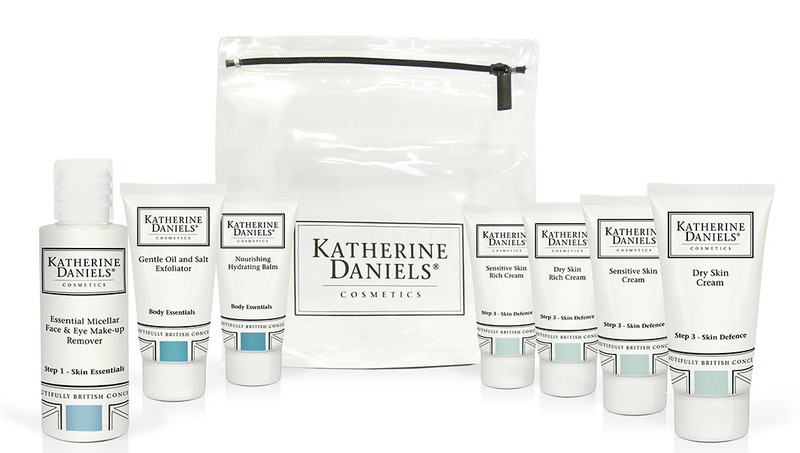 By the end of the treatment, my skin was baby-soft, plump and smooth as a peach! 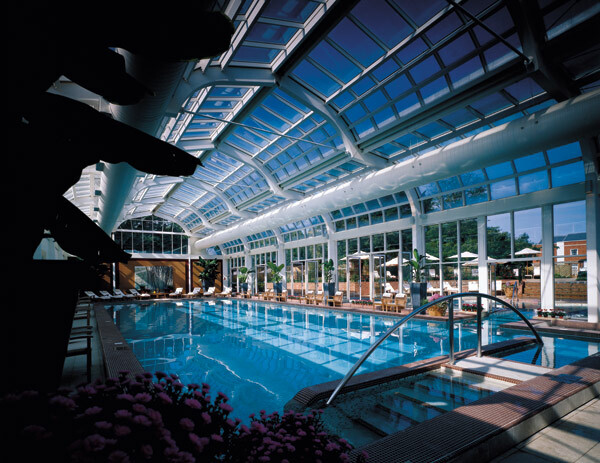 We couldn't really return to Good Spa HQ without trying all the spa facilities, so the next morning we headed down to the pool area to have a swim and a steam. We enjoyed the poolside steam room and sauna, but there are saunas and steam rooms, experience showers and relaxation rooms within the male and female changing zones, if you'd rather not use the communal facilities. As we were feeling a little lazy after breakfast, we didn't swim lengths in the delightfully bright conservatory pool, but waded through to the outdoor vitality pool to try the massage jets. The warm outdoor pool was a great place to relax - even in the rain we unfortunately got that morning! See what's on offer with the full Four Seasons treatment menu, read more information on Sodashi, or read more Good Spa Guide spa reviews. The highest gym in the world?